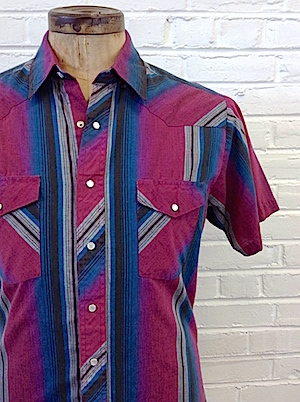 Mens Vintage Western Shirt. 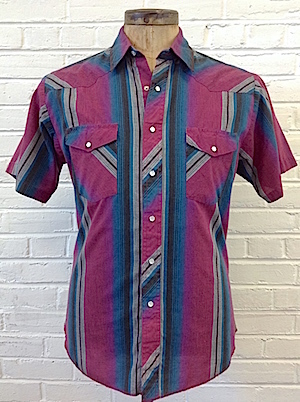 Dark shades of Maroon, Blue, Gray, Green and Black in groovy vertical lines of color running down the shirt. Nice, even color contrast- very classic! Six Pearly snaps down the front with snap closure patch pockets on each chest. Tapered hem . Tagged by Wrangler, Poly/Cotton.